Cities are faced with rapid urbanization, shifting economic and demographic trends, the impacts of climate change, overuse of resources and a number of pressing development challenges. Now, with the adoption of global sustainability frameworks, from the Sustainable Development Goals to the Paris Agreement and New Urban Agenda, they are a core part of a growing global movement towards sustainability. This visual story shows the challenges cities face and the proactive steps ICLEI Members are taking. It is also a reminder that they can and should not act alone. Coordinated action among all levels of government and a diversity of sectors - including businesses, financiers and academia - is vital for a sustainable future. 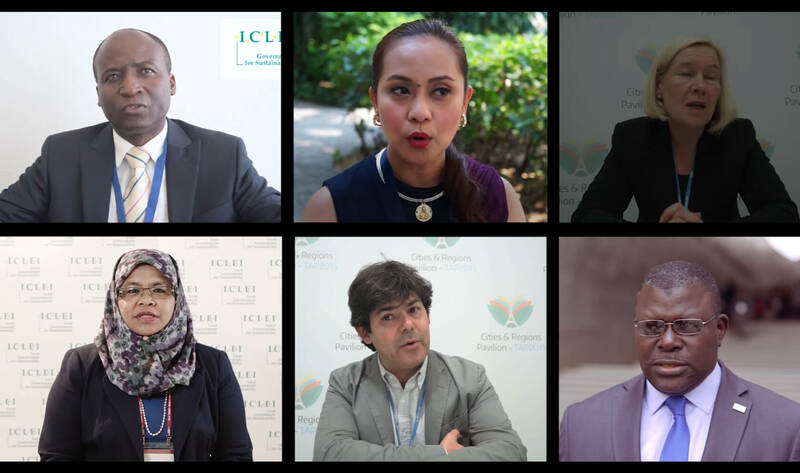 It was compiled in 2016 with the valuable interview contributions from ICLEI Members. To navigate, click on the buttons to the right hand side or use the down arrow on your keyboard. By 2050, two-thirds of the global population will live in cities. Over 3 million people are moving to cities each week. In some cities, up to 80 percent of the population lives in slums. These numbers are set to grow. Air pollution was responsible for one in eight global deaths in 2012. It claimed the lives of around 7 million people. Natural disasters displace an average of 26.4 million people each year. This amounts to one person displaced every second. By 2025, solid waste generated in urban areas will increase from 1.3 to 2.2 billion tons per year, enough to fill almost 4 million Olympics-sized swimming pools. Managing this waste will cost $375 billion every year. These challenges are substantial, but not insurmountable. Visionary leaders and skilled staff in cities across the world are taking action. From Almada, Portugal to Sorocaba, Brazil, cities are implementing projects that bring about tangible change. Through the Multi-AdaPT project, hundreds of families in Almada will produce over 300 tons of fresh vegetables each year. These community gardens are surrounded by recreational areas, restored steams and stormwater retention basins that enhance social interaction, biodiversity and flood management in the city. Belo Horizonte produces 43,800 megawatt-hours of energy every year from its organic waste. By transforming a major landfill into a waste-to-energy facility, the city avoids 80,000 tons of greenhouse gas emissions each year. That amounts to nearly 17,000 cars taken off the road for one year. Nagpur saves 9.7 kilowatt-hours of energy and over $275,000 every year as a result of transformations in its water supply system. Sharing City Seoul makes the most of existing resources through a sharing economy. Residents can rent tools and camping gear from community centers and host events in unused areas of city hall. The city provides public parking to car sharing businesses and connects secondhand shops with daycare centers so they can exchange clothes for children. Aspen is powered by 100 percent renewable energy. Their energy mix includes 46 percent hydro, 53 percent wind and 1 percent landfill gas. 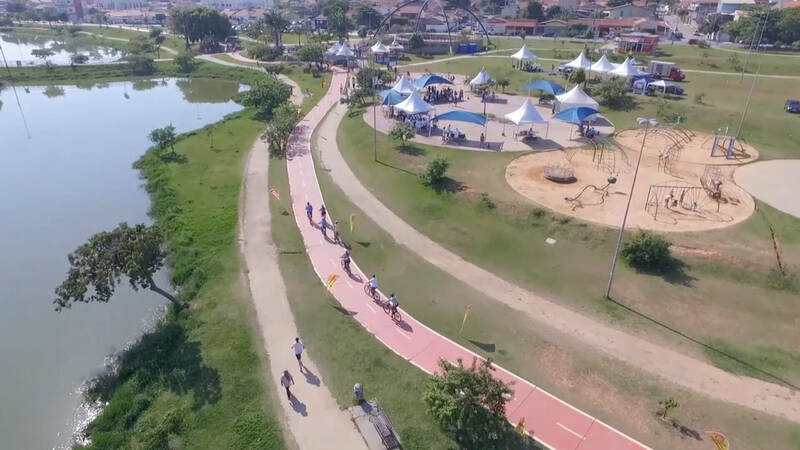 Thanks to the Sorocaba bike sharing program, residents take 10,000 bike trips each month on over 100 kilometers of bike paths throughout the city. Each month, over 2,000 residents of Mexico City visit Mercado del Trueque, a market where they exchange recyclable waste for vouchers they use to buy fresh produce from local farmers. Informal waste collectors are at the heart of Medellín’s solid waste management strategy. Collectors helped set the prices for public cleaning services, which means 3,200 collectors now receive fairer payment for materials they recover. Their work supports the city in achieving its solid waste recovery target: 30 percent by 2019. Cities are already taking steps towards a more sustainable urban world, but they can and should not act alone. Nations have come together to chart the course for sustainable, low-carbon and climate-resilient development through key global sustainability frameworks, from the Sustainable Development Goals to the Paris Agreement and New Urban Agenda. City-level action is essential in these efforts, and they must be empowered to carry out their vision. It takes a million steps for cities to realize their vision of sustainability. Collaboration among all levels of government, strong national and subnational policies and partnerships with a diverse set of actors can play a pivotal role. Many more cities must now become part of the movement towards sustainability. Weekly urbanization rate: International Organization for Migration. (2015). Geneva, Switzerland: International Organization for Migration. Slum figure: UN Habitat. (2012). “Housing & slum upgrades”. Solid waste: Bhada-Tata, Perinaz, & Hoornweg, Daniel A. (2012). What a waste? : a global review of solid waste management. Washington, DC: World Bank Group. This visual story was compiled by the ICLEI World Secretariat in 2016.